I've done a lot of baking lately. I'm not sure why except that my kids and husband love it when I do and who am I kidding? I love it too! 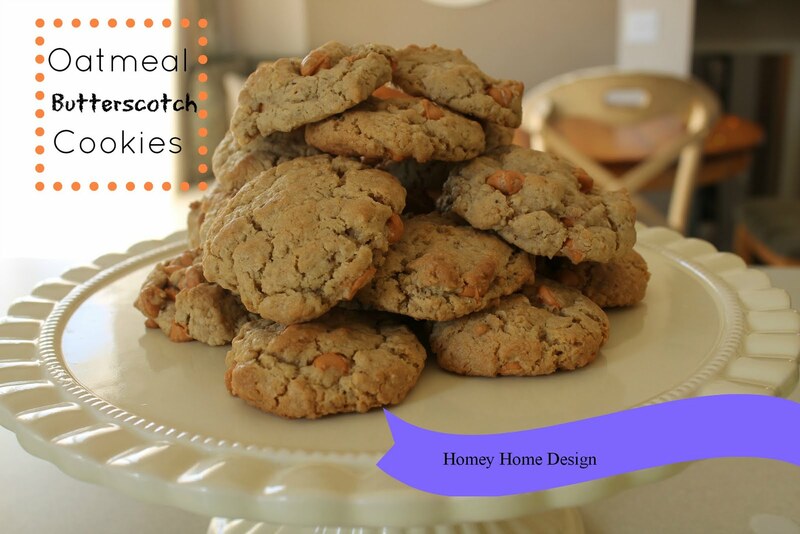 Over this past weekend we were in need of a sweet treat so I decided to haul out my Oatmeal cookie recipe. This recipe is from a childhood family friend and my mom used to make them all the time! Oh, they are good! Get out your baking pans! The basic recipe is simple. If you don't have the chips here's another great alternative: The original recipe didn't call for the chips, you simple rolled the balls of dough in sugar then bake. This is super yummy too! Roll balls of dough together and place on a greased pan. Bake at 375 for about 10 minutes or until slightly browned. They are really good with milk!